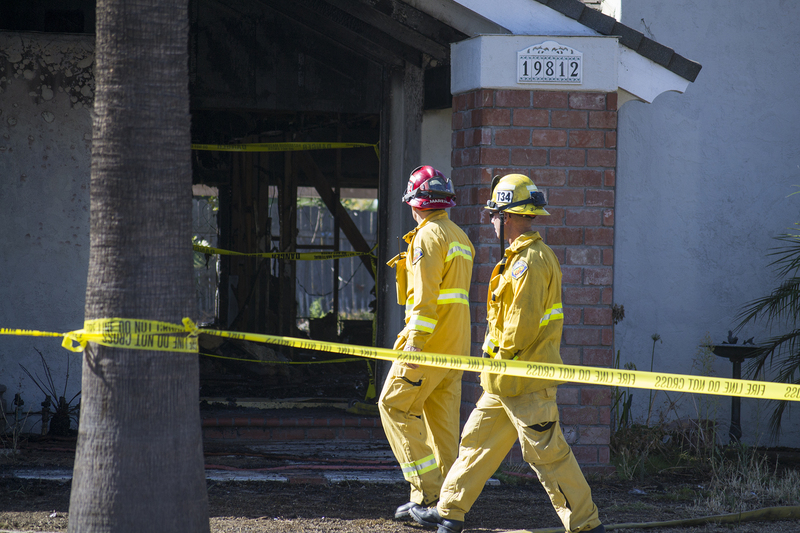 Firefighters investigate the burned house on Thursday morning, Sept. 18. YORBA LINDA – Firefighters Thursday morning continued to investigate a house fire that overnight heavily damaged a house. The fire, which began around 11:50 p.m. on Wednesday, Sept. 17, caused the house’s roof to collapse, according to the Orange County Register. The house’s garage and living room area also appeared to have sustained damage. The house is on Le Mans Circle, a block north of Bernardo Yorba Middle School. Officials are investigate the cause of the fire, according to the Register. Published at 11:15 a.m. on Thursday, Sept. 18. 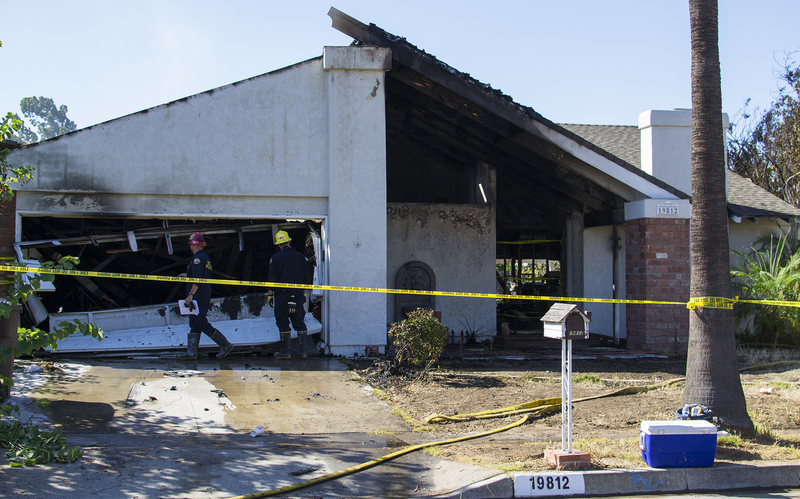 Firefighters investigate a house fire in Yorba Linda on Thursday, Sept. 18.